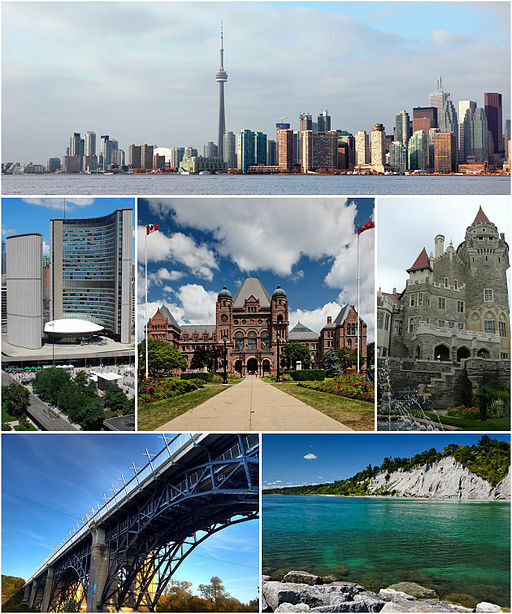 Every year, Toronto attracts millions of visitors from around the world. This city has a unique mix of historical and modern culture, along with fine dining, amazing hotels, and convenient transportation. As a tourist, here is the most vital information you’ll need when going to Toronto. CN Tower — Toronto is home to one of the most recognizable buildings in the world, the CN tower. Take a glass elevator up 1122 feet to a transparent observation deck where you can see the entire city. If you book a reservation with the top-floor restaurant, you won’t need to buy a ticket. Eaton Centre — This is a huge shopping mall in the downtown district. Eaton Centre ranks alongside the CN Tower as the two most popular tourists spots in Toronto. This mall contains over 250 stores, a glass dome roof, and spectacular architecture. Casa Loma — For visitors who like historical sites, why not pay a visit to Casa Loma? This castle was the architectural dream of a single man named Sir Henry Pellatt, although his dream eventually became the reason for his downfall. Drake Hotel — The Drake Hotel only has 19 rooms, so it isn’t competing against conglomerates like the Sheraton. What this hotel does have is plenty of personality and a very cozy atmosphere. Just be sure to book your room in advance since there aren’t that many available. Le Germain — This hotel offers a touch of European luxury and styling. Visitors even get chauffeur service and a porter upon entry. However, expect to pay a lot for such high service. SoHo Metropolitan — The Metropolitan is a high-scale hotel that takes luxury to another level. Its cheapest room is a pricey $250, while its most expensive one costs a shocking $5250 per night. This hotel is also famous for its flagship restaurant, The Sen5ses. Subway — If you’re in a big hurry, the subway is your best option. The two main lines are the Green Line and Yellow Line, which collectively cover most of the city. There is also a red line that goes towards the north of Toronto. Subway rides aren’t too expensive, but if you plan to use the train several times, purchase a week or day long pass for $10 CAD. Rent a Car — Toronto streets follow a grid layout, making it fairly simple to drive around. Avoid driving during rush hour however, as traffic will be a major headache. Tourists visiting in winter are also recommended to have experience driving on icy roads. Most large rental agencies have offices at Pearson Airport and in Central Toronto. Taxis –– Like every other large city, Toronto has more than enough taxis. You can either wait in front of a big attraction or hotel, or just hail one on the street. Taxis fares are very expensive in Toronto, so avoid taking long trips or you’ll end up with a very high fare. If you want to travel to several locations per day, the best option is to rent a car.